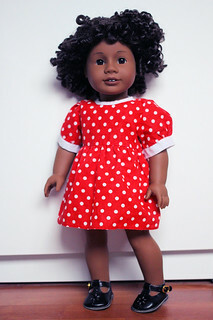 When looking for clothes for my Petitcollin Minouche Joelle, I came across a fabulous website here in the UK called Nellie Rose, that sells handmade clothing for dolls of various sizes, including not only Minouche but also American Girl. 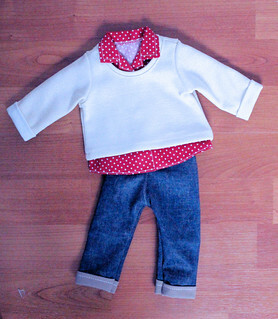 Unfortunately they are not open for custom orders at present, but they had a couple of outfits ready in stock that I just loved and that seemed a really great price so I decided to try ordering from them. 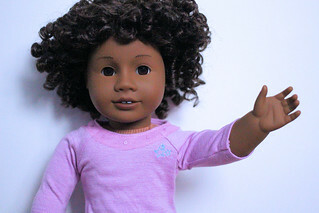 I ordered one outfit for Joelle, and one for my American Girl doll whom I had literally just ordered. 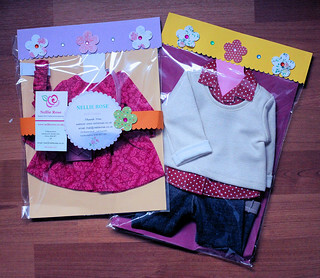 The clothes arrived really fast and were so beautifully packaged, as you can see. 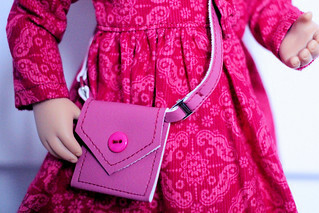 The outfit I ordered for my Minouche girl consisted of a lovely pink cord dress with matching headband and a little cross body bag. 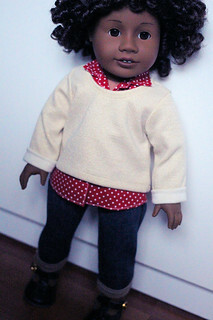 They fit her perfectly and are so beautifully made. 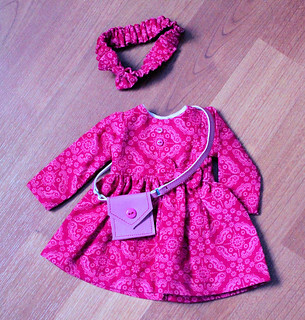 The dress has a little bow on the front which is a lovely added detail, and the little bag is an adorable finishing touch. It all goes well with her socks and shoes from her default outfit too. 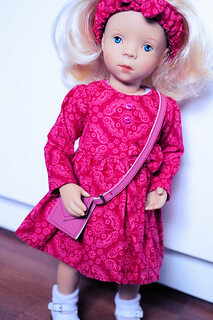 The Kit Kittredge doll had always appealed to me but I decided that since I now have a different blonde doll (my Petitcollin Minouche Joelle), I would try something different. After looking at them all, the one that really spoke to me was #58, and finally last week,the opportunity to get her arose. Now I’ll be honest, when I first opened her up, I wasn’t feeling it. 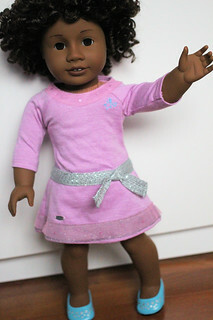 However, I think it was mainly due to the fact that I really don’t like the outfit the Truly Me dolls come in. It didn’t suit the character I had in mind for her at all. 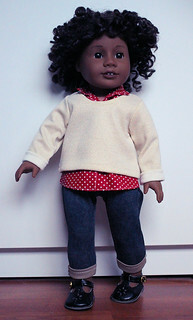 However, I found a dress and some shoes I still had from a previous doll which fitted her perfectly and she felt a lot better in these. One thing I was pleased about though is that she is from a batch before they started putting the built in underwear on them which I know a lot of people are cross about so that was a relief to see that she has the original removable ones. 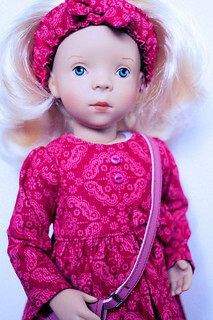 I really like her face mold and her hair and although I knew they can stand on their own, I was still impressed by it. Her knees have been sculpted really well, and I am surprised by how well she can hold her arms and legs etc in different positions. Although she does tend to want to sit with her legs in a big V shape, it is possible to position her so they are a bit straighter too so that was a nice surprise. 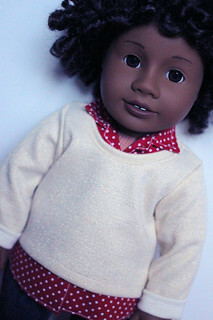 In general, I am really pleased with her, especially once I got her out of her horrible stock outfit; but I can already say that I doubt I will be adding to my American Girl collection unless I was able to get one at a super cheap price as I think they are overpriced for what they are. 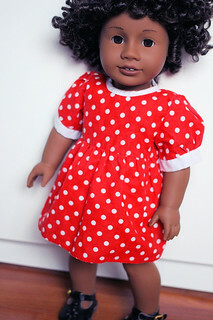 As part of my mission to enjoy dolls more again this year, I have decided to expand my collection to other kinds of dolls rather than primarily focus on BJDs. 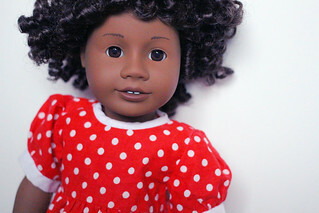 I have been wanting to try out some different types of dolls for a long time and after a few sales on ebay, I was able to get some that I had been curious about. 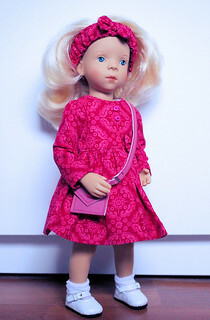 The first is a Minouche doll from Petitcollin, designed by Sylvia Natterer. 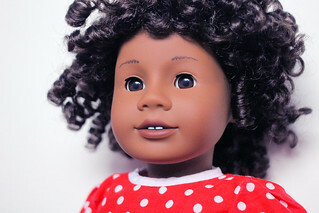 The dolls have simple yet beautiful painted faces and reminded me a little of Sasha dolls. 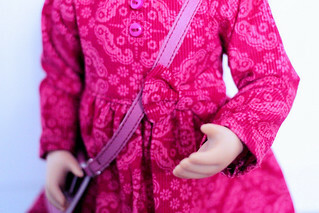 They are much more limited in their posing abilities than a BJD as they have complete arms/legs but they can be moved at the shoulder etc and the head can be turned from side to side. One of the arms comes bent at an angle which I thought would annoy me but actually, its great as you can convey many more poses and emotion with it than if they had two straight arms. 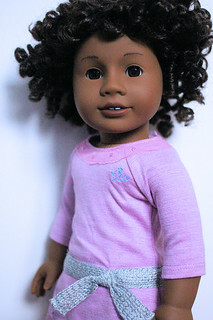 The one I chose is called “Joelle” and she will probably keep it is a name. 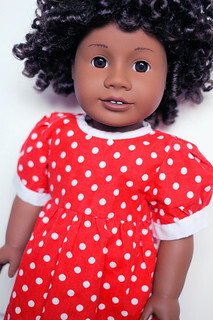 I mainly got her because I found her for a great price, but she was one of my top choices of the dolls available too so the good price was a welcome bonus. 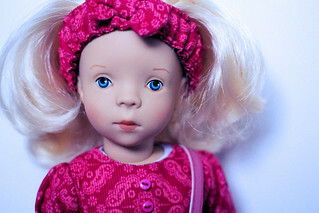 She has light blonde hair and blue eyes, and came dressed in a pretty flora dress, a shrug cardigan, white socks and white shoes. She also has a body suit on underneath which was a lovely touch. 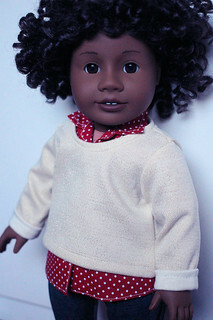 I must admit her hair is a bit much for me at the back so I may need to try and restyle it at some point, but aside from that, she is just wonderful. I love her face, she is so photogenic. Her outfit is beautiful, and she is beautifully sculpted, especially her knees. 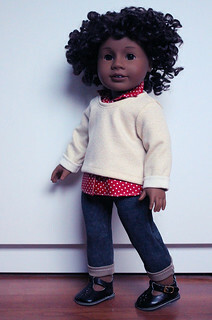 She is also able to sit with her legs straight in front of her rather than out to the sides in the dreaded V shape that a lot of dolls are cursed with. 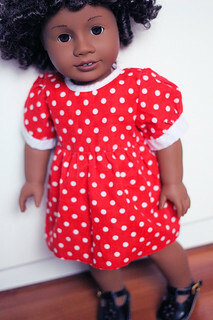 I am really thrilled to have added her to my collection and I would definitely like to add a boy in the same size in the future; as well as get some of the other sizes of the dolls available.